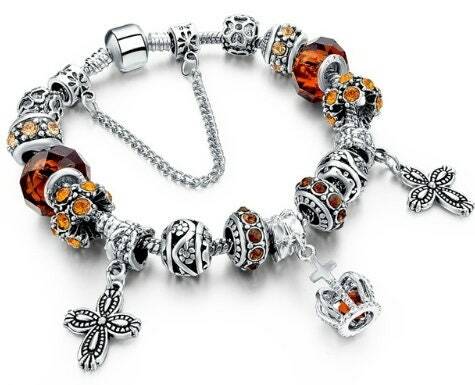 Stunning Bohemian Style Amber Cross Charm Bracelet with 2 Alloy Crosses. Super inexpensive for such unbelievable high quality. The Amber color gives this an In-Style Vintage look that has both dimension and texture. 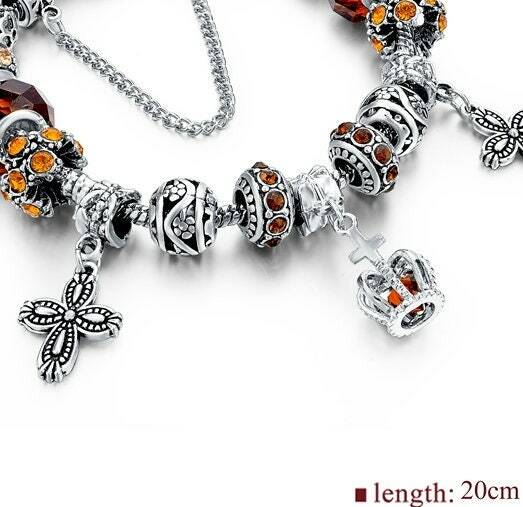 8" Bracelet. Barrel opens to positively capture the torpedo end. 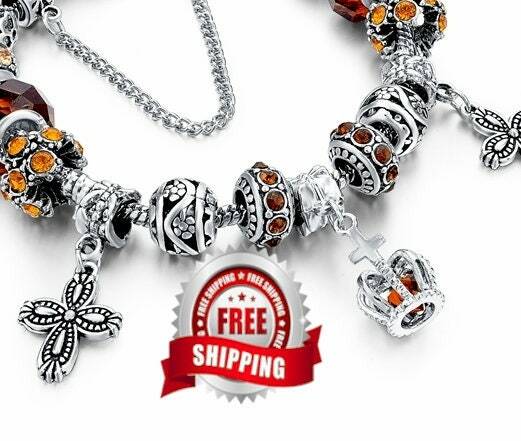 The small chain assists you to quickly latch the bracelet on and off.